I create bespoke needle felted portraits of your pet. Choose from either a head or full portrait. Just a few photos are required to create the portrait and I ship within the UK and beyond. 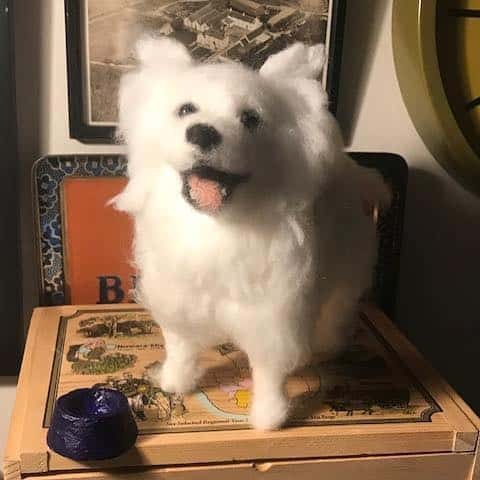 Personal touches can be added like a felt version of a favourite toy, blanket or bowl and the portrait itself will capture your dog’s personality and character. As a dog mum, I understand how important a memory of your pet is and love to help create this for you. Contact me for details.